Below are 4 software that enables you to create individual user name and login password for your customers, these type of virtual hotspot software are useful for those renting out rooms, providing lodging, running a hostel, hotel, or cybercafe. Some are more powerful than others, do check them out. Who need this? 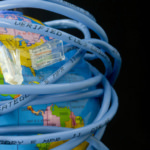 Say if you have free internet access via LAN network for your desktop or laptop in a hotel or hostel or student dorm. These software will enable your smartphone to access the internet. The MyPublicWiFi-Firewall can be used to restrict user access to specific servers. You can also prevent the use of certain Internet services (e.g. 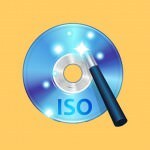 file sharing programs). MyPublicWiFi allows you to record and track all visited url pages on your virtual WIFI-Hotspot. 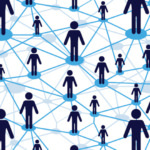 Just like all the other hotspot creator, this software enables you to share your internet connection with others. The best part is, there is no paid version and it is 100% free. Works on Windows, Android & Ubuntu. 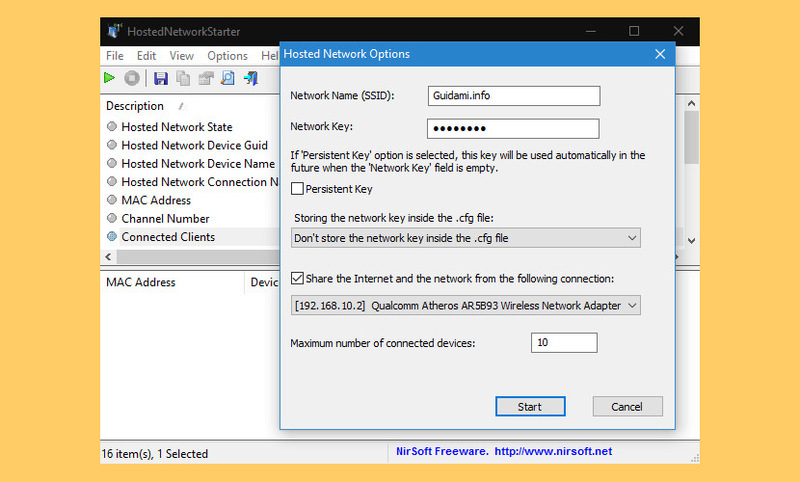 HostedNetworkStarter is a simple tool for Windows and later that allows you to easily create a wifi hotspot with your wireless network adapter, using the Wifi hosted network feature of Windows operating system. 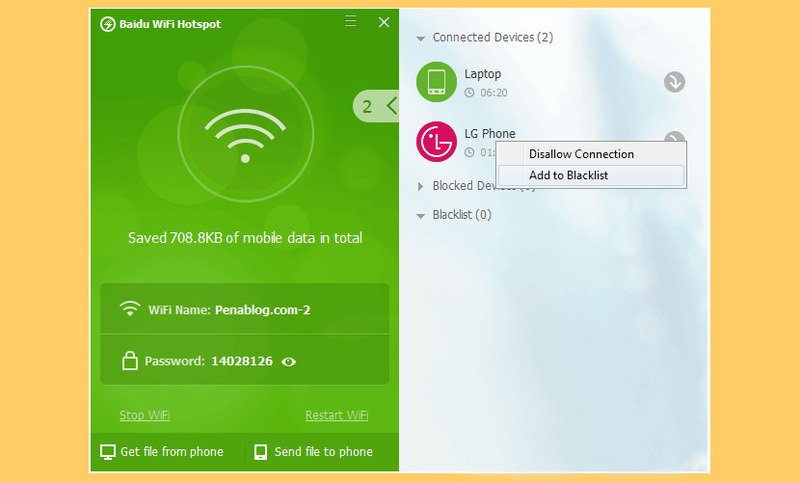 With the wifi hotspot created by this tool, you can allow any device with wifi support to access the network and the Internet connection available in your computer. This is perhaps the most advanced WiFi sharing and billing software for Hotel Billing. Ideal for those operating a temporary lodging that requires proper tracking, especially those into AirBnB. Complete wifi billing system – Setup invoices, tickets, printers, taxes and much more. 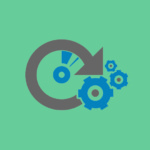 Control time and bandwidth usage of wired and wireless laptops without any client software installations. 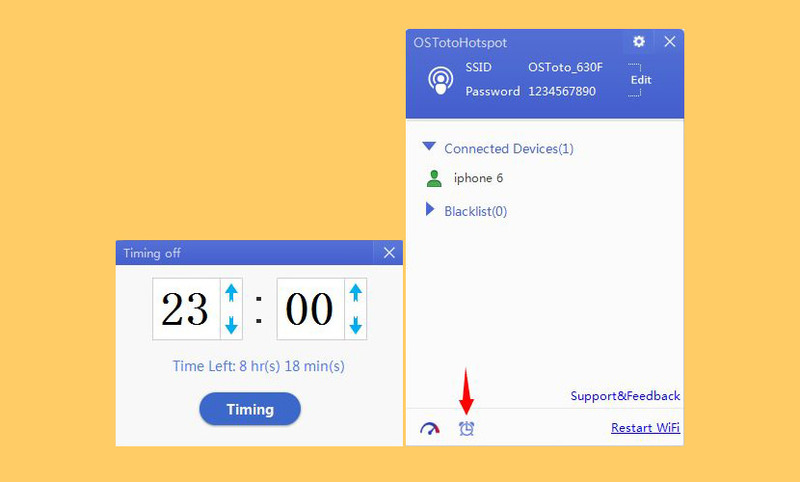 OSToto Hotspot is a free and professional WiFi hotspot creator tool for computer. It enables you to build a stable and personal (or public) hotspot without wireless router. 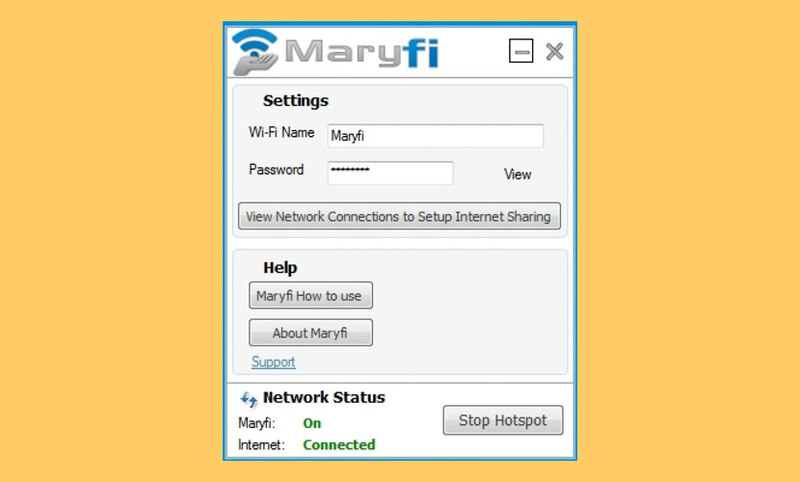 You can free share your computer Internet connection with all WiFi-enabled devices, like phones, tables, laptops, etc. 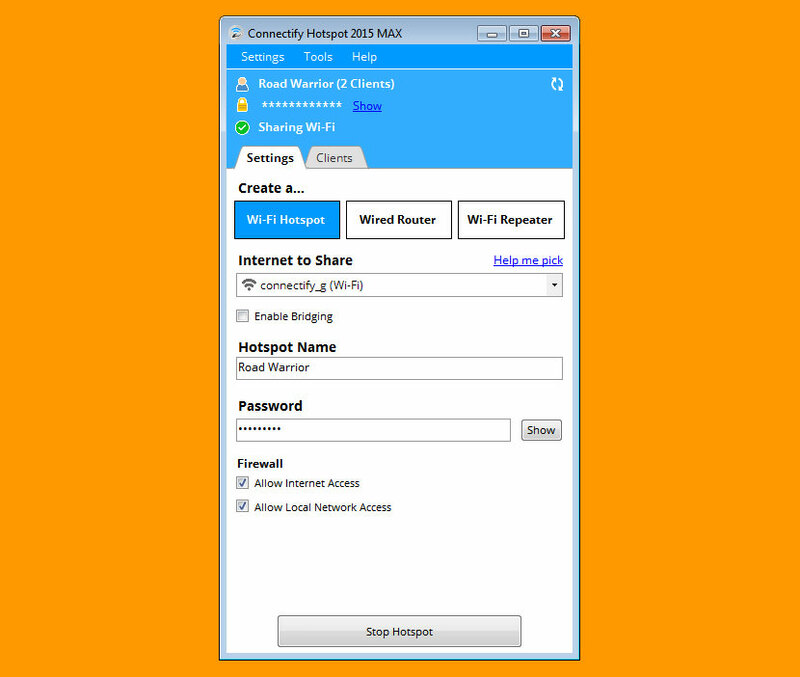 Baidu WiFi Hotspot conveniently turns a computer into a wireless router for sharing both Internet connection and files. Whether you are using cable network or USB dongle, you will easily share your Internet with compatible devices. The program allows you to set your preferred nickname and password and determine the people with whom you want to share the hotspot. Depending on your hardware, the software may create the free WiFi hotspot in adhoc mode, which may prevent some phones from connecting. 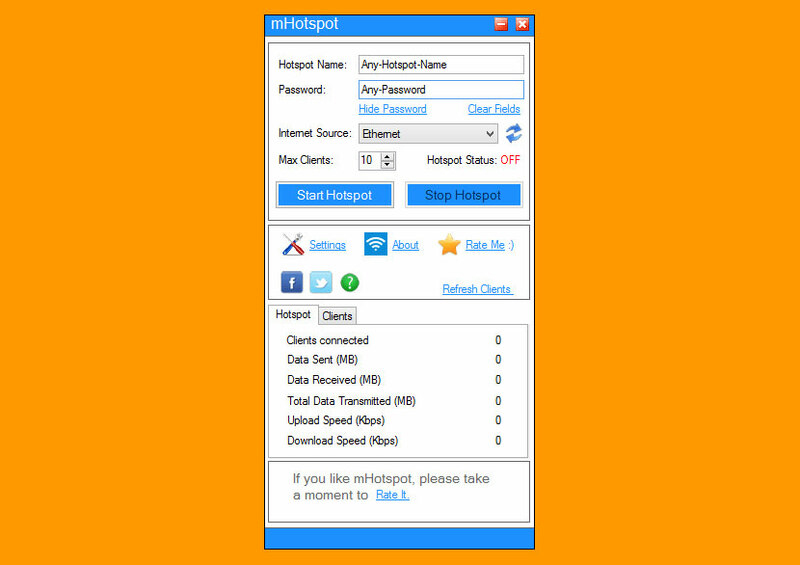 The first and most important in the list should be http://www.antamedia.com/hotspot software. It’s powering hotspots for almost a decade and all the listed software are just a toys comparing to the Antamedia Hotspot. That stuff sounds awesome as yet experiencing difficulty on the HP portable workstation I purchased the XfinityWifi isn’t that awful on the off chance that you have the correct remote connector. It’s fueling hotspots for very nearly 10 years and all the recorded programming are only a toys contrasting with the Antamedia Hotspot. I have been using mhotspot and I must say that it is a good tool. But, whenever I share the internet thorugh it with more than 5 connections, I start getting issue with Internet speed. Is there any way to keep it maintained?